There're many subsiding ('chinka' in Japanese) bridges across Shimanto River that is called the last clear stream in Japan. 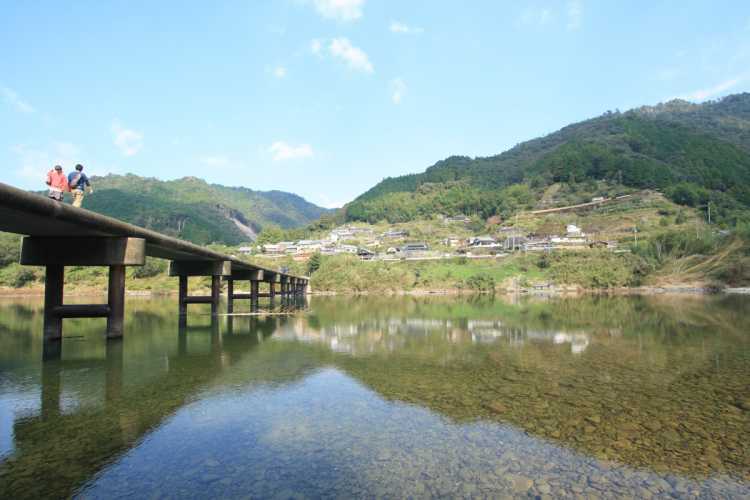 Among them, Iwama Chinka Bridge is specially popular. Flowing water is so clear that it produces tasteful scenery together with the bridge above the water.